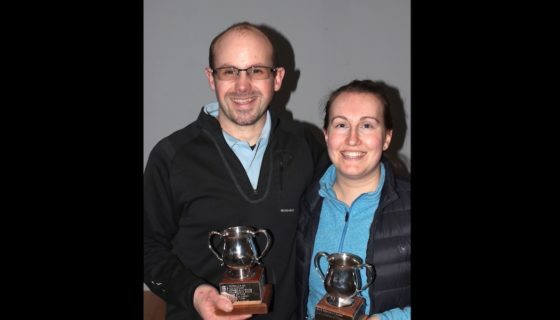 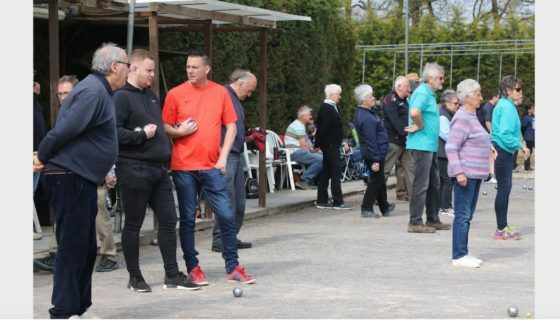 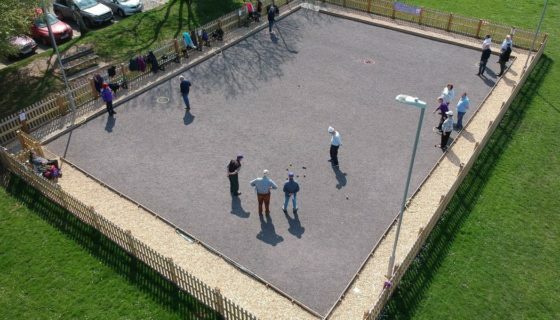 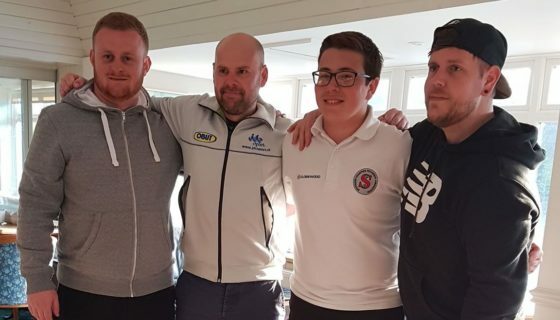 In a bid to promote Petanque and possibly recruit new members, Cobbetts Boules Club hosted a private event for a group of 24 friends to introduce the sport in a fun environment. Most of the guests already knew Hassi and each other, so the element of feeling nervous about trying something new was removed and guests arrived with a degree of excitement. 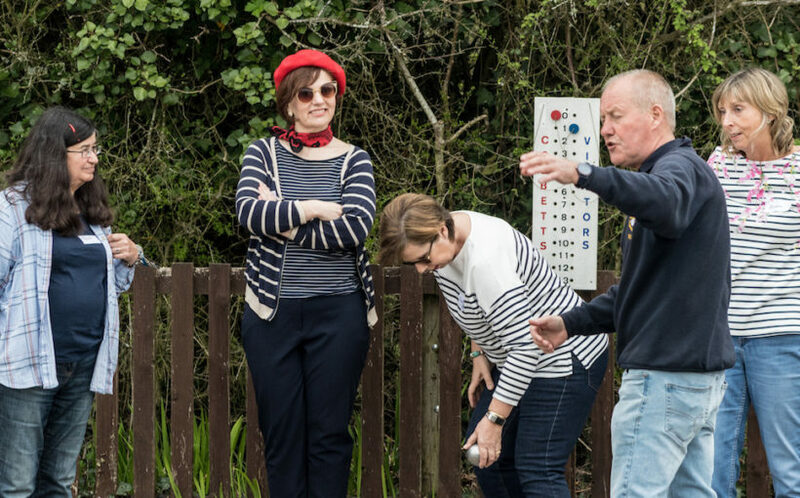 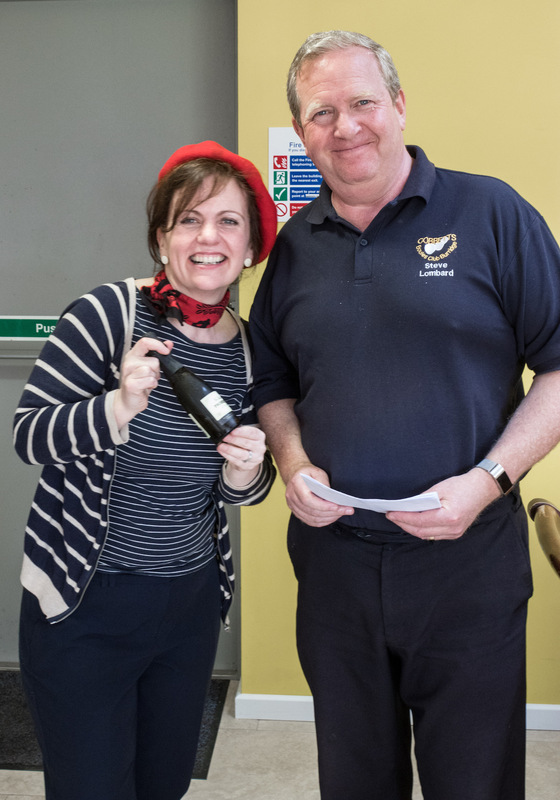 The ‘Pétanque & Prosecco Afternoon Tea’ was an instant hit with everyone who attended this friendly and fun event on a hazy April day with the lightest sprinkling of showers. 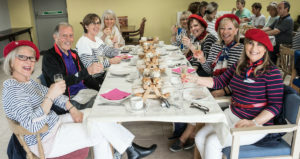 Some of the guests sported a rather ‘chic’ French look with red berets and stripey tops creating a certain ‘je ne sais quoi’ ambience to the event. 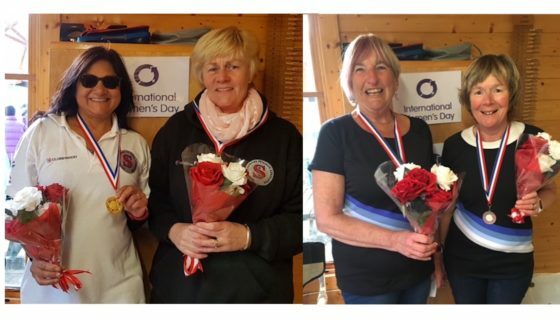 With Ali Stubbs & Lyn Porter firmly at the helm, the day was organised with meticulous precision and forethought that is synonymous with Cobbetts. 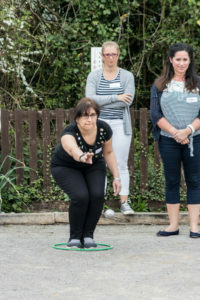 Following a smooth registration, Steve Lombard provided some basic coaching before Ali ran the timed Melee of 3 games. 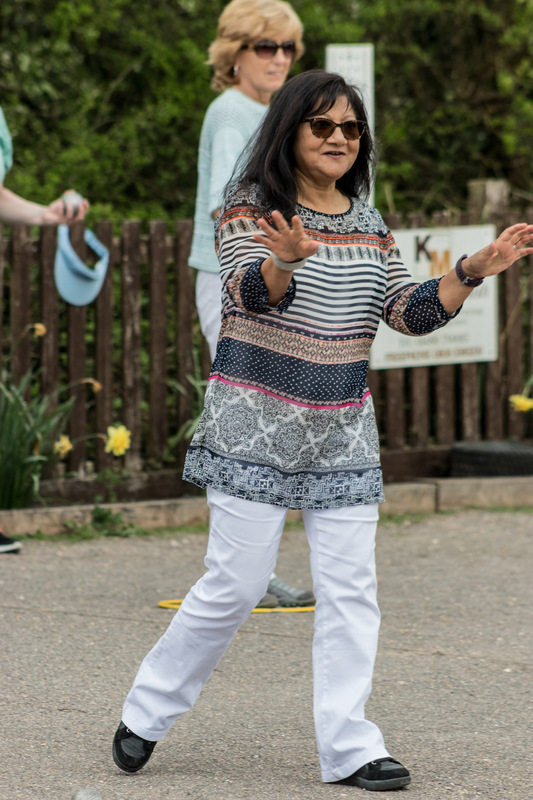 Each group of teams had their own personal ‘helper’ who assisted them with understanding some of the finer details of playing petanque, keeping score, encouraging players and the occasional bit of tactics. 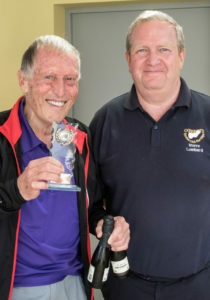 The strong team of helpers who brought a wealth of knowledge, experience & sheer love for the game included Dave Stubbs, Richard Greeves, Chris Barron, Steve Lombard, Ali and Hassi. 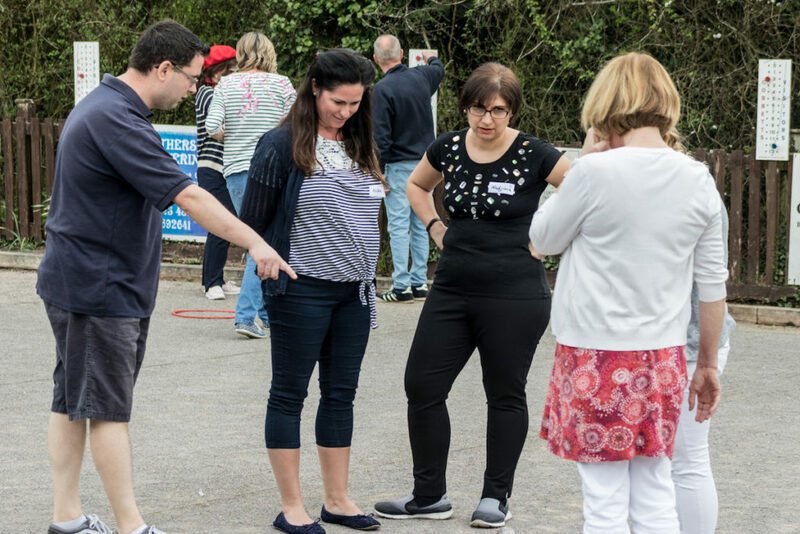 There was a real buzz at the end of each game as friends exchanged their scores before they were re-grouped to play the next game. 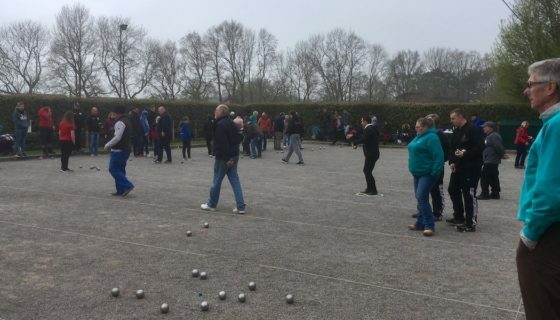 The three games were over in a flash leaving the guests wanting more and their appetite for this wonderful sport well and truly whetted! As the score cards were collected, the guests were ushered to the second part of the event – the quintessential Afternoon Tea, and were they in for a treat. Anyone who has enjoyed the culinary delights of the lovely Lyn at Cobbetts will know that this lady does not do things by half. 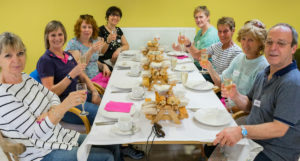 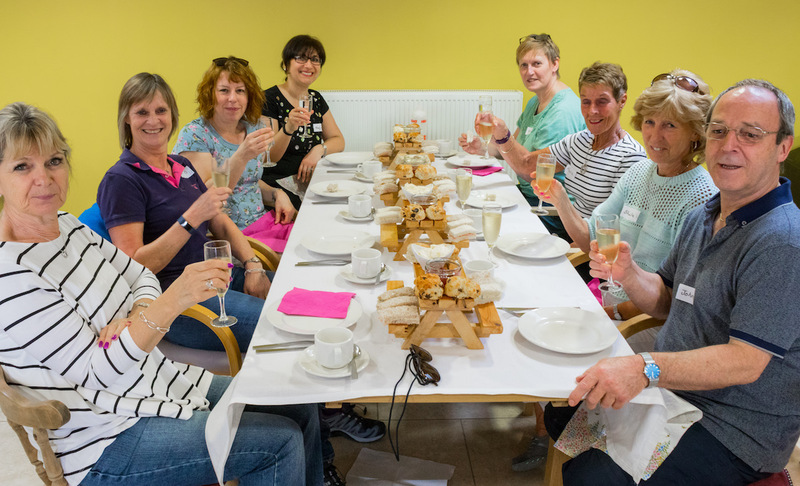 The selection of sandwiches, scones and a wide variety of cakes exceeded all expectations and were served up with help from Carol Collyer and Mike Porter, as guests took their places at the beautifully set tables. 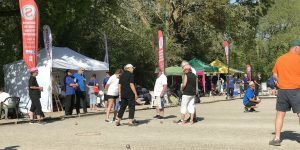 The flow of conversation and laughter was an indication of the fun that had been had at this event showcasing Petanque as a truly inclusive and social sport for all. 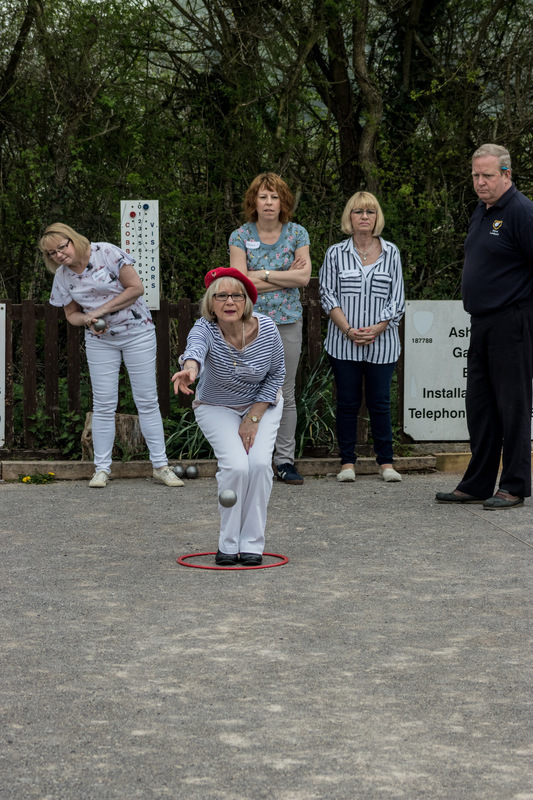 The scores revealed a clear winner as Brian (one of just 2 men attending) won all three games with a score of +14, but as there were two runners-up a single end play-off was held between friends Dorothy & Sharon to determine 2nd and 3rd places – this was won by Dorothy. 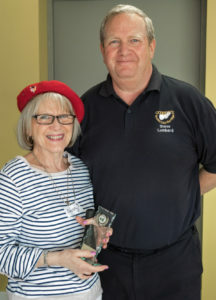 Thanks to Ali & Lyn and to the fantastic Cobbetts team for a truly memorable day and helping to promote Petanque and encouraging more people to join a local club. 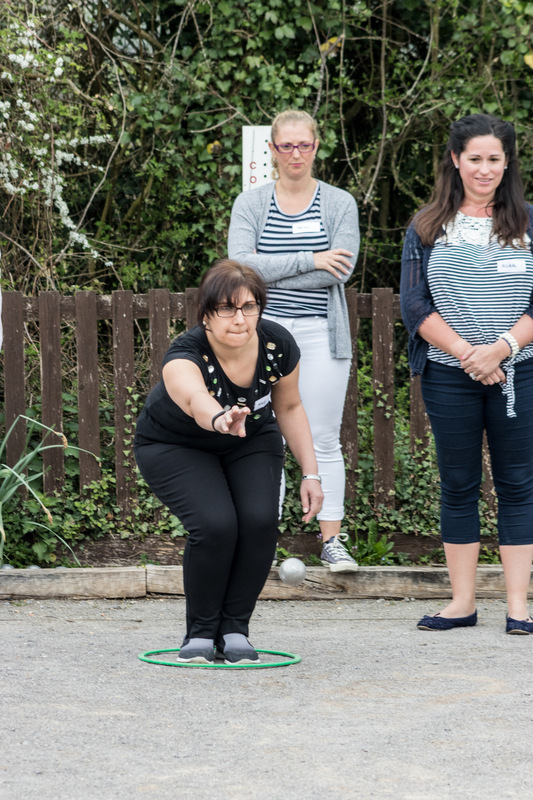 Great photos of the day captured by Mike.